With electric vehicle (EV) production set to boom over the next decade and beyond, the lithium market is experiencing an unheralded time in the lime light. As a key component of the lithium-ion batteries that power EVs the demand for lithium is going to increase dramatically over that period and currently it appears there will be a distinct supply shortage with new production unable to accommodate such strong growth in demand. 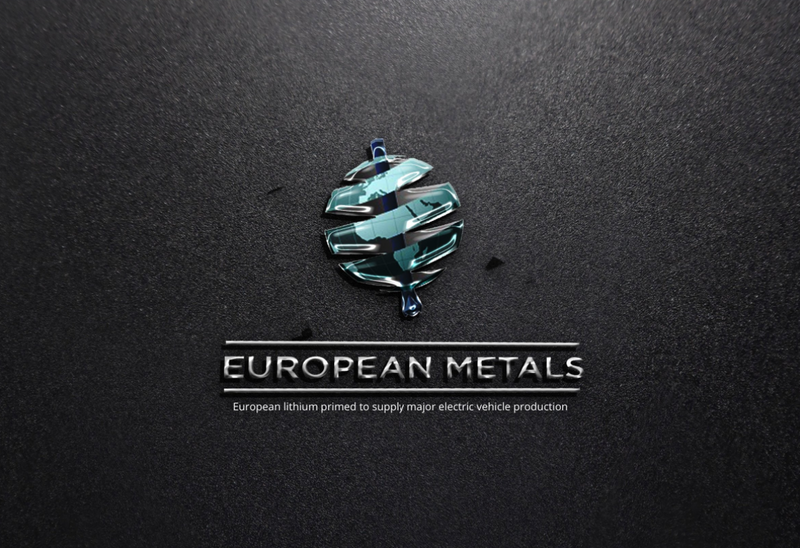 European Metals Holding is ideally placed to bring new production online from its Cinovec lithium/tin project in the Czech Republic, near the border with Germany where car manufacturers such as Volkswagen, BMW and Mercedes have major production plants. European Metals CEO Keith Coughlan tells RGN how the huge lithium deposit can be one of the first in line to meet the expected upsurge in supply in the next five years. Cinovec hosts the largest lithium resource in Europe and the fourth largest non-brine deposit globally. The historic mine comprises two distinct zones; Cinovec Main to the north which is the location of the high grade shallow lithium resource which European Metals will target first and a low amount of tin and then Cinovec South which is a lower grade, deeper lithium mineralisation zone and ample remaining tin. While there has been 85,000m of historic drilling undertaken at Cinovec, mainly by the Eastern Bloc government in the 1980s, European Metals has followed that up with a further 9,500m of diamond core drilling over the last few years and the results have proved the deposit to contain a highly prospective orebody. A recent preliminary feasibility study (PFS) on the 100%-owned resource demonstrated Cinovec to have a 21-year mine life at production levels of 21,000 tonnes per annum (tpa) on an indicated resource of 3.9mt of lithium carbonate equivalent (LCE) @ 0.45% Li2O. However, Coughlan says that only took into account 5% of the total deposit, around 10% of the indicated resource and about a third of the resource by grade. At full capacity the mine could maintain those production levels for 100 years. Cinovec will also benefit from its location and nature as a historic mine thanks to the levels of existing infrastructure immediately surrounding the project. Cinovec already has access to roads, railways, power, water and support services from localised industrial and chemical plants. The area has a historic population with mining experience and there is extra bandwith there for European Metals to take on local skilled labour. As well as the immediacy of key infrastructure the project is in close proximity to the production of 6-7 million cars every year. The proportion of those cars being EVs will rise each year and Coughlan sees Cinovec being ideally placed to take advantage of that. “We think Cinovec is a very attractive option. It’s local, effectively on the German border, it’s within the EU with economic and political stability, it’s large and low cost and has the potential to supply Europe with lithium for many years,” Coughlan says. “Volkswagen anticipate EV penetration rates of 25% by 2025, that’s a bigger rate than I’ve seen any other forecaster put out. That’s 25% of all vehicles built in Europe in 2025 will be electric. Those numbers make up new demand from Europe, a region which has traditionally imported large quantities of lithium with little actual production capacity. Coughlan says the lithium required to meet that demand is between 250,000-300,000t LCE depending on how much lithium goes into each vehicle. VW expects to use 45kg in its flagship model, while other manufacturers will use more or less. So where is that lithium production going to come from? South America has long been considered the global home of lithium with Albermarle, SQM and FMC controlling the majority of brine lithium production in the region, however those companies have offtake contracts in place and will struggle to find new production capacity in that time. Western Australia is another major hub for lithium, coming from hard rock spodumene mines, which has seen a big step up recently. The Talison mine is a major producer, however all the offtake is contracted already, there is new production from the likes of the Pilbara Minerals, Neometals and Galaxy Resources but Coughlan expects all the product to be bought up by the Chinese. There are more EVs built in China than the rest of the world put together at the moment so it is equally important its supply is secured but it leaves the question of where the European car manufacturers are going to be able to secure long term lithium supply from. Coughlan is positioning European Metals and the Cinovec project to be a primary supplier into the European market and to do so in time with the supply/demand imbalance. Having released the PFS European Metals is moving into the definitive feasibility study which will include an expansion study. Alongside the DFS Coughlan is working to get the mine permitted for production. “We have started the permitting and environmental processes and those two factors will, I believe, be the determining factors in how quickly we get to market. But I think there is a tailwind politically as well as environmentally in getting European lithium projects into the development stage. The process for Cinovec lithium requires no harmful sulphuric acid, only sodium sulphate and the lithium carbonate plant will be located a short distance away in an industrial and chemical area with old coal mines. Coughlan doesn’t see any barriers to entry in this area. Coughlan says the DFS will be completed by mid-2018 and the project will move straight into construction finance depending on what stage the permitting process is. He hopes to accelerate the permitting in line with publishing a bankable feasibility study late 2018 or early 2019. In terms of getting the project financed European Metals, like many other early stage lithium projects, is looking to sign an agreement with a strategic partner who can offer to fund the project or part of the project in return for a segment of the offtake. “Ordinarily you would say we are too early in our process to be attracting the attention of significant players, but the nature of the lithium market suggests perhaps not. It’s unique at the moment and there are serious players in Europe trying to secure long term supply,” explains Coughlan. “The driver is that the serious players perceive there is going to be a supply shortfall and want to secure the product. The infrastructure spend that is required to step up to this level of EVs production is vast, billions of euros between the major car manufacturers to deliver the numbers for 2025. Green technology is being encouraged across the EU, but the German government has been the most prominent in actively promoting cleantech and a reduction in emissions through subsidies. The government has put emission requirements on the major car manufacturers, it’s pledged around €1 billion in subsidies for EV buyers and has committed €300 million for the infrastructure roll out for EVs like charging points and on top of that it has announced that Germans will not be able to buy a new petrol or diesel car after 2030. While it is a global race to meet the growth in the European market Coughlan is certain there will be a shortfall in supply. “There are companies who will start producing either in Europe or in other parts of the world and ship it but if you look at the projects globally and what stage they are at there is going to be a shortfall in supply to meet the demand, the numbers are stark. Bringing a project of this size through to production cannot be done without strong relationships with supply chain partners. Czech-based companies have completed all the drilling and Coughlan says it works well to have that done in country, Ausenco and Hatch both supported the PFS work and other companies such as Dorfner ANZAPLAN, Nagrom and Bara Labs have played key roles in the metallurgical and tin work. So looking forward, Coughlan says Cinovec has three key characteristics that will differentiate it in the market; size, cost of production and location. “Firstly, it is the largest lithium resource in Europe, fourth largest non-brine in the world and has a very large JORC-quality exploration target too. Secondly it will be a low cost producer of lithium carbonate and thirdly it is located in the middle of Europe in an area in which the demand for lithium is going to grow substantially in the short-to-medium term.